You know the one--"Big Yellow Taxi," by Joni Mitchell. The one with the famous chorus: "They paved paradise and put up a parking lot." Well, this is the real deal. 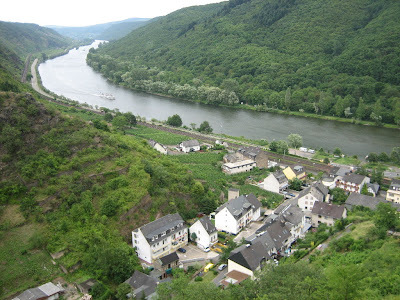 In a case of the modern world and its supposedly necessary infrastructure needs colliding with the age-old beauty of a great wine region, winemakers in Germany’s Mosel, and its legions of fans around the world, are finding themselves in a serious fight these days. And it will slice right through some of the most beautiful vineyards on the planet, not only fouling the view, but potentially wreaking havoc with the natural flow of water from the forests above into the steep hillside vineyards below. Click over to the article linked up right here, and take a look at the video embedded in it, for a glimpse of what’s at stake.